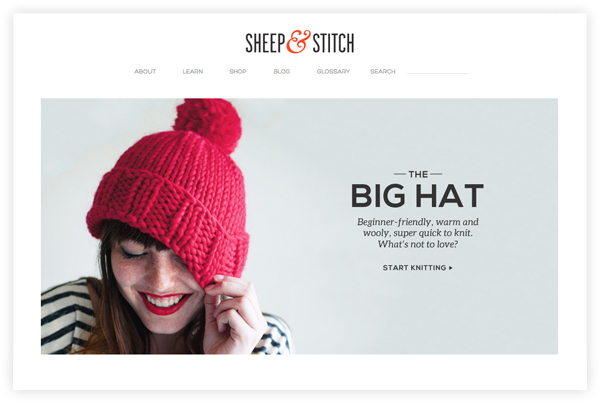 Sheep & Stitch is a freshly-launched website that teaches you how to knit using video tutorials and simple patterns. I don't know how to knit, but if I wanted to learn, I think I'd start here. The site is clean and pretty with lovely, cohesive photography and a simple layout. Follow the knitting map to go from a person who knows nothing (me) to a person who can make a sweater. More patterns, videos, and goodies are coming soon, so sign up for the newsletter if you want to be alerted. I love how-to sites, and this looks like it'll be a good one. It's a lovely design. Though not as pretty, http://www.knittinghelp.com/ has a much more comprehensive set of knitting videos. Personally, these days, YouTube is my go-to for learning knit and crochet techniques. Thank you!!! I know how to crochet but love the look of knitted items. I love this! cant wait to get my knit on! If you need a nudge to learn how to knit, the Purl Bee blog was what inspired me to finally pick up a pair of needles. Their colors and designs are my favorite! 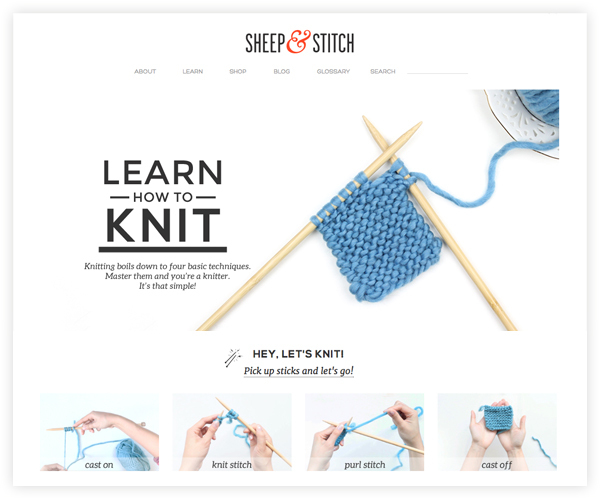 That site is perfect for me, i'm a "knitting for dummies" person:) there are other cool sites but i've never seen better beginner videos like these..
Now, I can try a new hobby! Thanks for sharing this … great way to start knitting! This looks awesome! I've been wanting to learn how to knit forever so I'll definitely check this out. Thanks for sharing! I already know how to knit, but just for snits & giggles, I watched the videos. They are by far much more concise and easier to understand than any others I've seen. You should try it...it's very relaxing.